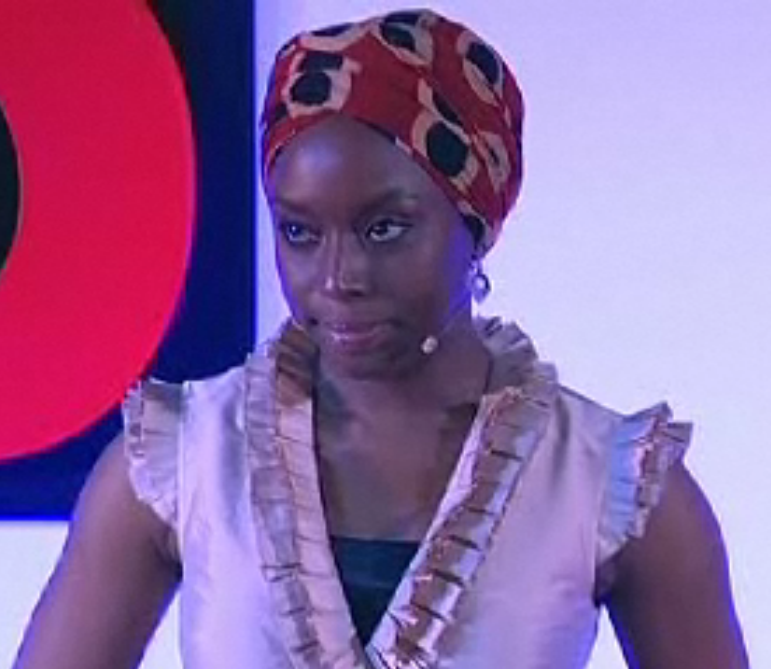 I’m not sure how I happened across this TED video of Nigerian author and storyteller Chimamanda Adichie but I’m so glad that I did. Much of her talk, revolving around examples pointing to the danger of having only a single story about any people or any place resonated with me. I am Nigerian and I am American, dual-nationality granted to me as a consequence of my birth. 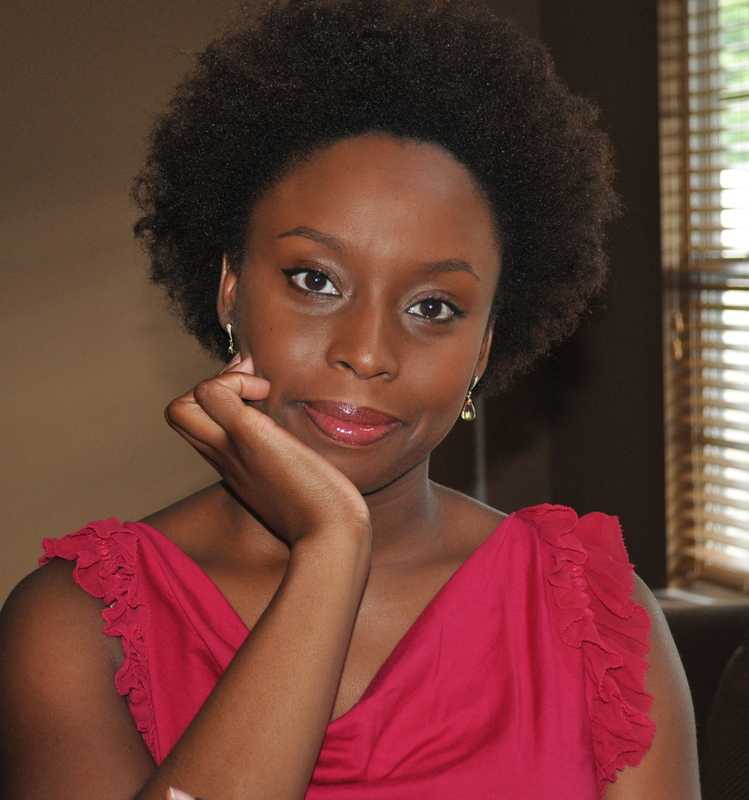 Like Adichie, since childhood, growing up in a mostly white town in upstate New York and attending a mostly white school district, I too have been asked about Africa as though I’m supposed to be an expert about every country, historical development, and political and cultural reality on the vast continent. Oh and Africa is most certainly a continent, not a country. Please try to remember that the next time you’re mentioning a list of countries like America, Japan, Brazil, England, and Africa? No, my friend, Africa does not fit at the end of that list. When Adichie’s American college roommate asked to listen to some of her “tribal music” I could almost see the disappointment which must have reflected on her friend’s face when she pulled out her Mariah Carey cassette tape. I remember so many conversations asking me if those Tarzan-like or Kipling-esque images of Africa still ring true. If we all dance around the fire or live next to elephants, tigers, and giraffe. The Africa I know is one of modern people living ordinary or extraordinary lives, in houses that might resemble similar structures in any American or western suburb. Not to say there is not poverty because there is but that poverty does not define the Africa I know any more the Southeast D.C. defines the Washington DC region I know. The Africa I know is of people working hard despite the hardships, excelling in education and careers (if they are fortunate to find employment after graduation or as they migrate to foreign countries), laughter, strong familial and community ties, infused with spirituality, good traditional foods, and of Nollywood (the Nigerian Bollywood or Hollywood). The only time I remember seeing large animals commonly found in the pages of a National Geographic magazine was on a trip to the zoo in Lagos. Like Chimamanda Adichie and Chinua Achebe and even an author with my exact name Ifeoma Okoye, I am Igbo. Their writing inspires me and provides me with examples of people like me. To return to Nigeria and to read their work fills me with a sense of coming home (even though I view my hometown as being in New York) and of understanding. It provides me with examples of people with brown skin and hair and lips and cultural nuances like mine. A much needed reference point in forming one’s identity when surrounded by a world that views Africans “with a kind of patronizing well meaning pity” as a monolith, inferior, beastly, “half devil, half child,” needing to be rescued from themselves by outsiders. I am Igbo and I’m Muslim, a convert to Islam. Many people I encounter familiar with the Igbo will remark on how unusual or anathema the two concepts seem as the Igbo tribe post-British colonialism has become fiercely identified with Christianity. And in the never-ending battle of tribal one-upsmanship juxtaposed to other tribes, particularly the Muslim ones. To be a convert in American Islam, even with its diversity is kind of like growing up in a predominantly white town. Very rarely do you see authentic representations of oneself and one’s story. Rarer still is a prayer offered from the minbar for “Africa” among those offered for Palestine, Indonesia, Pakistan, Egypt, Chechnya, and Kashmir. Amidst the jokes about falafel and biryani and the desi/Arab divide, I feel like saying please pass the fufu and the mac and cheese. When I read fatawa about the recommended length of women’s hair, I think has this person ever seen someone from West Africa? Our hair unless braided, relaxed or aided by extensions tends not to fall below the shoulders. Won’t you join us in rejecting the single story? Part of the problem is that the world is such a large place, and it’s difficult to be well (or even decently) educated about every place. It’s all too easy to succumb to stereotypes when one’s knowledge is limited, and the media and educational system don’t necessarily help matters either. In the summer of 2001, when I had decided to move to Korea, I realized before I left that most of my knowledge about Korea and its culture was heavily dependent upon two things: old MASH re-runs and having watched much of the 1988 Seoul Olympic games. The latter, of course, was much more helpful than the former. The wartime Korea of the early 1950s was nothing like modern Korea, just as I’m sure my dad would find modern-day Japan far different from the late 50s Japan he knew when he was stationed there. And the problem is, it often takes a trip overseas to dispel these myths and stereotypes we rely upon to give us “understanding” about the world we don’t know. So we often need to give that gentle education to others so that they don’t rely upon one single story. JDsg – long time, no see, good to hear from you, hope you’re doing well! Lovely examples, thanks for sharing them. It’s true traveling can be such an eye opener and go a long way toward dispelling the single story. Good literature, media, and education also has a part to play in unlocking the world beyond our limited borders. I used to have friends in London who were Muslims from the north-east of Nigeria (Maiduguri area) and they told me that, in fact, Islam was strong in southern Nigeria and that it was growing in the south-east as well. Most Igbos are Christian, true, but there are a lot of Muslims there too. Wa salaam alaykum, very true Yusuf, I recently became acquainted with a mosque in Enugu, not far from where my family is from. Muslims are all over the country, just not as many Igbos, relatively speaking. And the Igbo woman who converts not for marriage is not often looked upon kindly by her tribespeople. Excellent! I watched Ms. Adichie’s piece with my parents a few months back, and they loved it. I could say so much, but you captured so much of my experience in this entry. From the ethnic groupings/assumptions to being Igbo and Muslim…to the piece on hair. It was wonderful. Wa salaam alaykum Chinyere! Yes, so many stories. I loved the part about ginger beer. I had never heard of ginger beer until a few years ago when I saw one of my coworkers drinking a bottle most days at lunch. So I asked him if it was alcoholic and to my surprise it wasn’t so then I set about wanting to taste it for myself. What exactly does the word “Ngozi” mean in Nigeria? I know for a fact that with half of the Sourthen Africa constitutes tribes who are descends of the Nguni tribe and their great migrations south, the scattered into various lands. I’m quite certain in Zulu(which I can speak), which constitutes the Nguni tribes, it means “Danger”. And damn, this lady is hot!! !